Ram N. Dubey is a registered clinical counsellor. He holds a master’s degree in social science (professional counselling) from Swinburne University of Technology. Ram is also an accredited mediator. He provides group and individual counselling, mediation, and training in private and institutional settings. 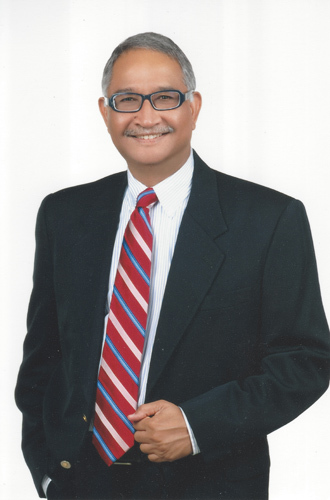 Prior to becoming a counsellor, Ram was an accomplished regional director, responsible for banking solutions in the Asia-Pacific, at a global banking software house. Widely travelled, he has worked in every major financial capital in the world but has spent a particularly significant time in the Asia-Pacific. Ram was never a bright young lad. He left home and full-time schooling after his ‘O’ levels with very average results. But this did not deter him from pursuing his studies. He studied progressively. At age 35, he received an Academic Excellence Award from MDIS for achieving his master’s degree in business administration with distinctions from the University of East London. Ram is the son of a taxi driver. He grew up in what is now Little India, where alcohol was widely available in the sixties. Later in his counseling journey, he realised that alcohol was an even greater menace, as a gateway to other illegal drugs, violence, and crime. He wondered how to warn people of its dangers, but more importantly, how to help them find a way out of its clutches.